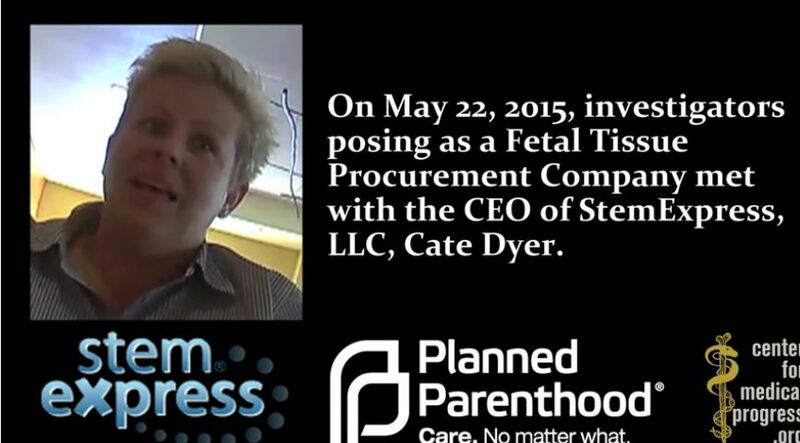 California citizens horrified by Planned Parenthood selling aborted baby parts are regularly protesting their procurement company, StemExpress. 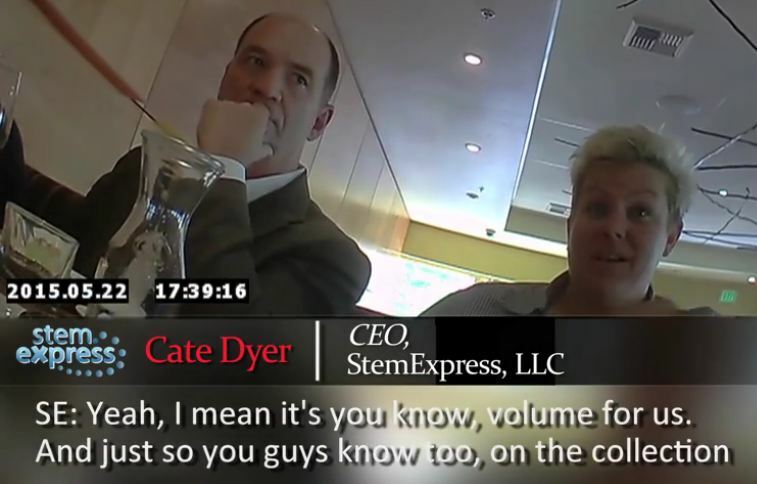 Over the summer, the Center for Medical Progress began releasing undercover video evidence showing Planned Parenthood staffers haggling over organs procured from babies the tax funded organization aborted. Then CMP shocked Americans further when they released an interview they did with a former StemExpress procurement technician detailing how she was ordered to cut through the face of a live baby in order to obtain the required brain tissue. As America reeled from what they were seeing in the CMP vids, so did the citizens of Placerville where StemExpress is located. In response, several groups of citizens took it up themselves to protest outside Stem Express and expose their baby harvesting connection to the abortion giant Planned Parenthood. One of those protesters described Placerville as a quiet small town in need of jobs. 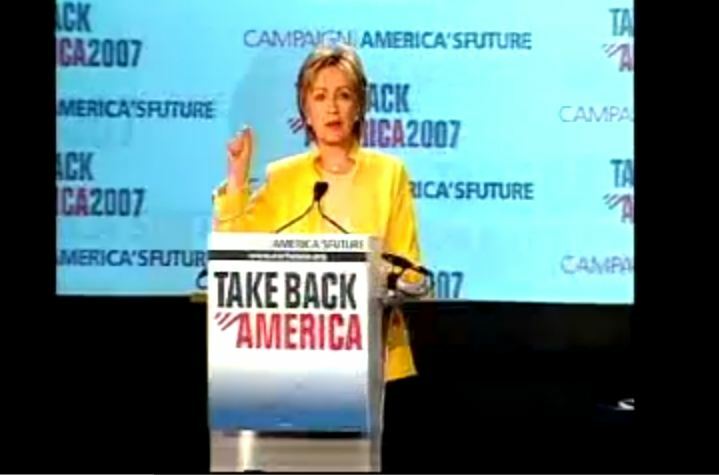 Marcia Brim noted that when Stem Express came into their city the citizens had no idea what the fetal research company was all about. “Nobody was more astounded by what was happening in our back yard than the people of Placerville. 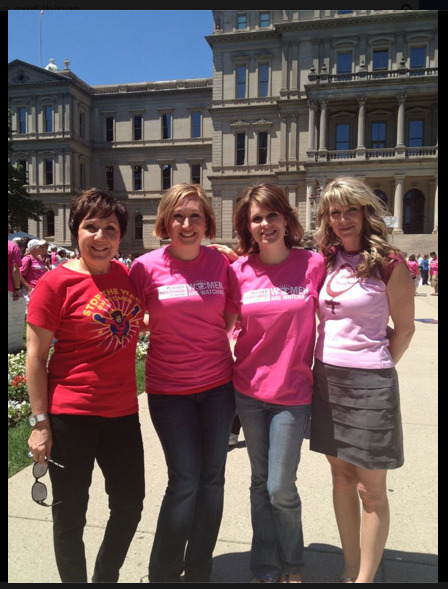 Our county doesn’t even have an abortion clinic,” Marcia said. According to Marcia, before she saw the CMP videos she had never taken part in a protest. Now, she said she has been protesting outside Stem Express two to three days a week for several months. “A lot of us have never protested anything like this before. That is my story. I prayed for the others but never did it myself,” Marcia said. “What David and CMP did has made a huge difference in our lives and we are very grateful for what he has brought to light,” she added. Marcia said that protesters have received a very positive response. “On the sidewalk we have people who walk or drive by and it is overwhelmingly apparent that the citizens of Placerville support their protests,” she stated. By August 3, 2015 that group held their first protest receiving coverage from local media. On the 4th the group posted that they had received several thank you messages from people for “bringing awareness.” Then, by August 5th they discovered another group had planned to protest the abortion procurement company as well. By the 7th of August there were protests being organized in front of Stem Express on Mondays and then on Wednesdays. And by August 22nd those opposed to Stem Express were expressing their objections every Saturday. In no time, citizen groups unconnected to the Facebook People Protesting Stem Express group were so horrified that they also came out. Hart said that shortly after the media covered their protests they received news that StemExpress had “cut ties” with Planned Parenthood. 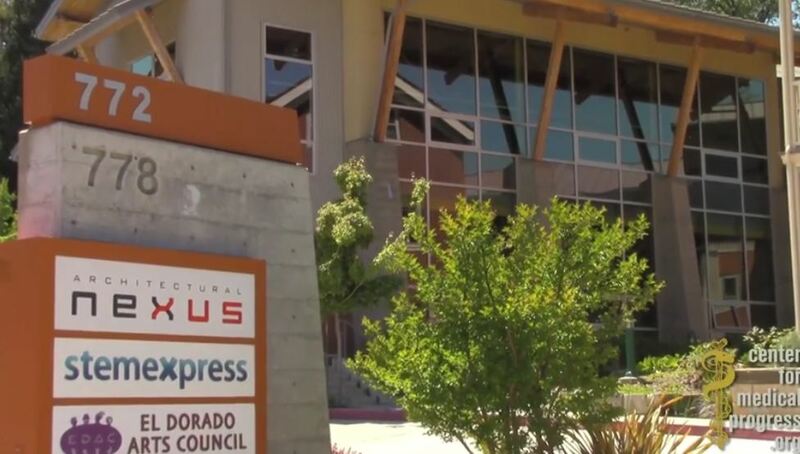 The Placerville resident said that in addition to the public outreaches, the group has requested that the Board of Supervisors audits Stem Express for alleged violations. In addition, they have contacted the local El Dorado County Sheriff’s department and demanded an investigation of the fetal tissue procurement company. 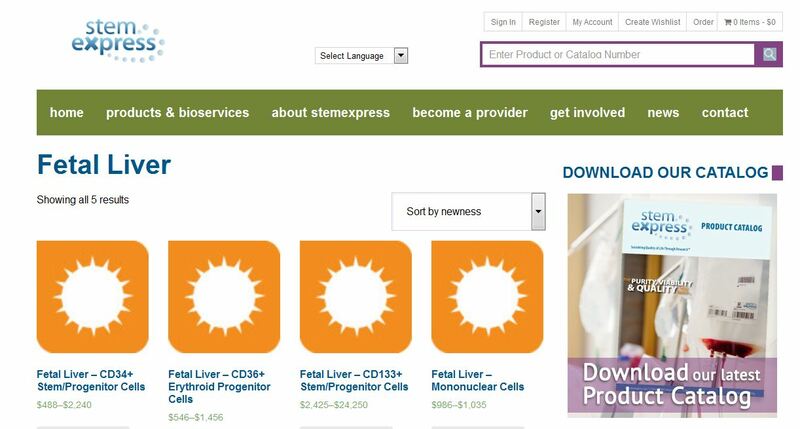 When the Center for Medical Progress videos flooded the media, Beth Mora said that she was shocked, “StemExpress was clearly identified as a company that bought and sold parts of babies. As horrible as that notion is, I stopped in my tracks for another reason. I recognized the buildings in the film. The scenery behind the reporter was my peaceful little rural town, Placerville, California,” she told Saynsumthn. “Stem Express is part of a row of quaint buildings between our town’s beloved Buttercup Pantry and the Council of Arts building. The films made the pit in my stomach churn,” she added. It was shortly after that when she saw an e-mail from Marcia Brim encouraging her to take a stand and she has been in front of Stem Express most Fridays thereafter, “Our presence says to our community-What is happening here is a crime of the worst proportion…Our sleepy rural town has awakened to what is happening just off of Main Street…The abortion industry forges black chain links with the hot red fires of blind passion. Sparks fly and black powder soot scatters with each smite of the pro-abortion campaign hammer. If standing on a sidewalk can weaken one link, then stand I will…I’m honored to chisel away at one link, a link that happens to live in my neighborhood,” she stated. Marcia has been documenting her encounters outside Stem Express and is planning to publish them in a blog. She said that when she heard about the pickets in front of Stem Express she immediately contacted over 300 people she knew from a group she was involved with. She said people were grateful to have a way to speak up and the response has been tremendous. According to Marcia at three pastors have joined the protests already along with a variety of citizens from varying denominations and a number of citizens with no religious affiliation at all. 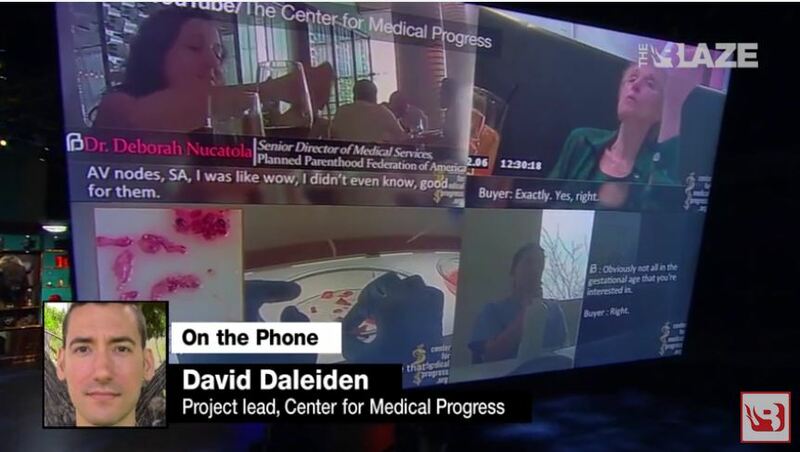 A leaked tape recorded by the Center for Medical Progress shows a Michigan abortion owner admitting that she once talked to “researchers” during her quest to find ways to dispose of the bodies of the babies her clinic aborted. Renee Chelian who operates the abortion clinic chain, Northland Family Planning Center, which performs abortions up to 24 weeks has previously denied under oath that her facility is involved in the harvesting of aborted babies. (Video 1 begin ) “We were really tempted to give the fetus back,” Chelian is heard saying in the audio. “So in coalition, we started working with hospitals who didn’t want to be seen with us. We met them in like Denny’s restaurant, there’s not even many of those left…We talked about you know what are you guys going to do. They were terrified of a public relations nightmare. That hospital actually had big freezers with breasts and kneecaps and gallbladders and abortions or miscarriages. Um and they put all their jars together, at some point. and they go to Stericycle unless the hospital happens to have their incinerator which is rarer and rarer. The guy from Stericycle was quick to point that out to me. 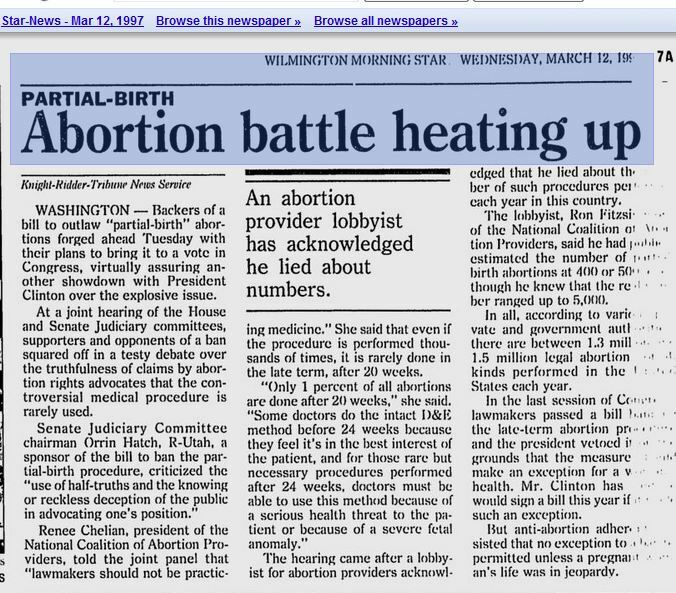 “Have you ever suggested to patients or anybody in your office, your clinics suggest to patients that they could have a late-term abortion and then make an anatomical donation of part of the aborted baby?” Senator Jones asked Chelian. Chelian continues to deny the charges brought up by Senator Jones several more times. And denied being involved in fetal research before the Senate panel in 2012. “This would not be the first time an abortion worker has denied that they took part in fetal harvesting in the past,” says Mills. 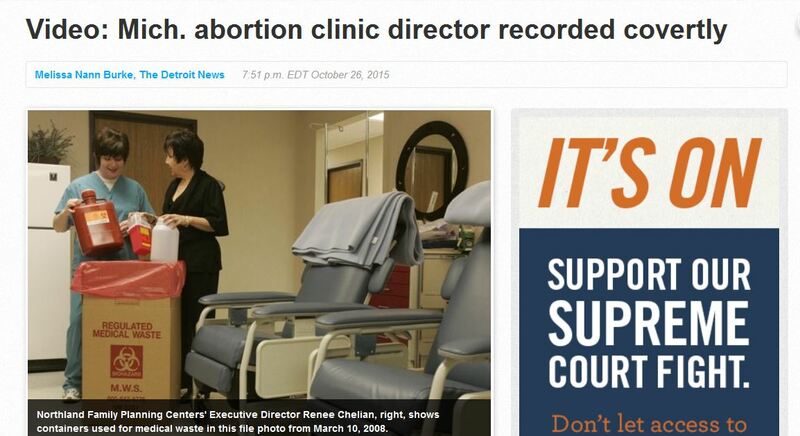 However, while Chelian has admitted that her clinics have problems disposing of all the “fetal tissue” i.e. 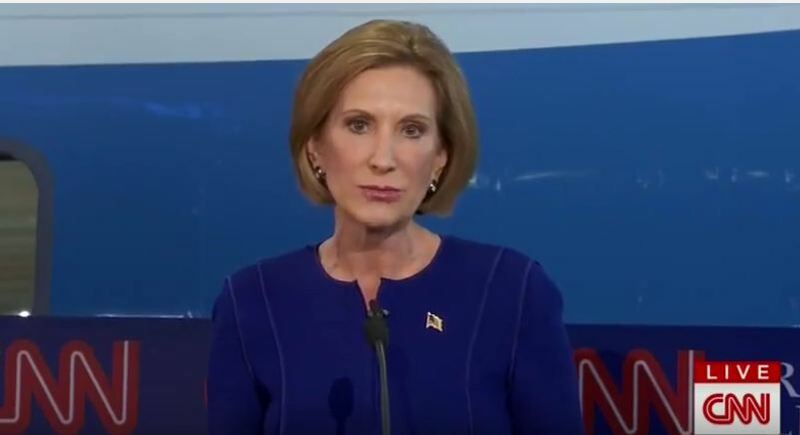 remains of human preborn children, and that she has talked to researchers, she has denied that her abortion chain has had any involvement in fetal tissue harvesting. While we have no way to know whether all or some of Chilean’s admissions are true or not, we do know that these undercover videos recorded by the Center for Medical Progress are exposing the attitude and in some cases horrific actions of the abortion industry. Chelian: Well, first of all, I find you rather insulting. Jones: Isn’t it true that you have a private lab to show up at your clinic to harvest parts? Chelian: No! And sir, you are a liar! Jones: No, I’m simply relating what witnesses have brought in. Chelian: Well, you know, that is part of the problem with this bill is once again. You have never taken the time to find out the facts because you are 100% wrong. I hope you are embarrassed and you’ll take that back to whoever gave you that information. Jones: Well, I understand that you do routine gynecological tests for people 39 years old and younger but if they’re older than that, you won’t provide them; yet you will provide abortions. Chelian: We provide routine gynecological care for the healthy younger population because we’re not specialists in menopause. And we don’t pretend to be specialists in something we’re not. Many doctors offices are specialists in menopausal care and generally after 39, it’s pre-menopausal and then going into postmenopausal care. That doesn’t have anything to do with the good gynecology care that we offer. Jones: So you deny having LabCore and other groups come to your clinics to collect parts? Chelian: We use LabCore when we want and any other lab when we suspect an ectopic pregnancy or a molar pregnancy. I’m not sure since you’re not a medical person that you know what that is and I would be happy to tell you if you would like to know. But those are medical problems that pathologists need to look at abortion tissue for. That is not what you suggested. That is in the continuum of good medical care. Chelian: It is true that they come when we call them. Jones: On Thursdays and Saturdays. Jones: Just the late-term ones. Chelian: Did you call me? Did you call..
Jones: Renee, thank you for your testimony. Chelian is a former head of the National Coalition of Abortion Providers. She was once called to task after her NCAP group’s executive director admitted that he intentionally misled the media about the numbers of partial birth abortions performed on healthy women. 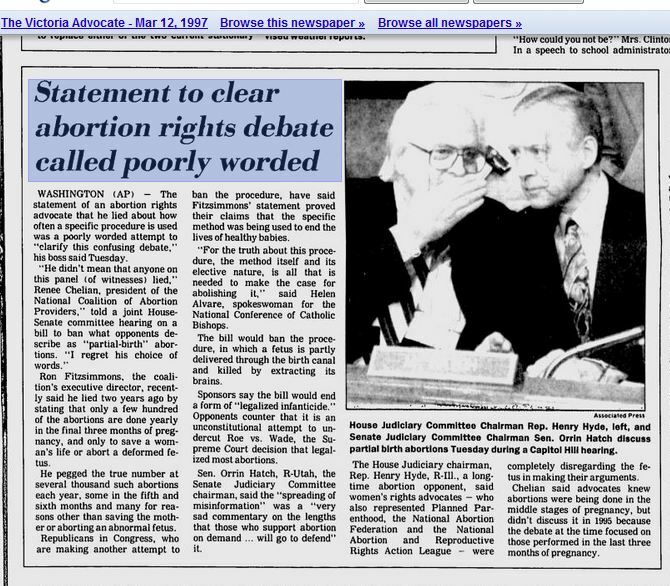 Ron Fitzsimmons, a spokesperson for NCAPS later said that he “lied through my teeth” when he stated that the late term abortion procedure was rarely performed only on women whose lives were in danger or in the case of the health of the preborn child. “It made me physically ill,” Fitzsimmons said. ‘‘The abortion-rights folks know it, the anti-abortion folks know it, and so, probably, does everyone else,” he said in an article in the Medical News, an American Medical Association publication. In a series of undercover videos uploaded by the Center for Medical Progress, it has become evident that aborted baby body parts harvesting is not rare – it is widespread across the nation. 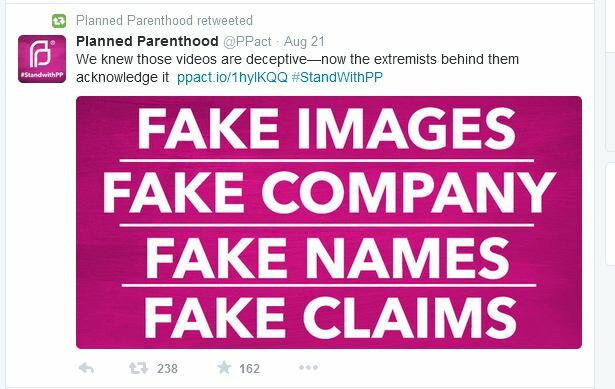 But this does not sink with what Planned Parenthood said in CMP’s undercover videos. One of the hubs for fetal tissue harvesting is California, where the majority of Planned Parenthood centers reportedly have (or had) some kind of procurement agreement with StemExpress, which has since cut ties with Planned Parenthood in the midst of scandal. Despite CMP’s video footage which strongly suggests that Planned Parenthood is selling the organs of babies they abort (and possibly manipulating the procedure – a violation of federal law), California officials have refused to open any investigations into either Planned Parenthood or StemExpress. The Center for Medical Progress’ eighth video centers on a conversation they have in a public place with Stem Express CEO Cate Dyer. The company was originally operated out of Dyer’s home in rural El Dorado County until she grew it into a very lucrative a multi-million dollar company located in a 19,000-square-foot building in downtown Placerville. “I got really comfortable with tissue and organs,” Dyer once said. 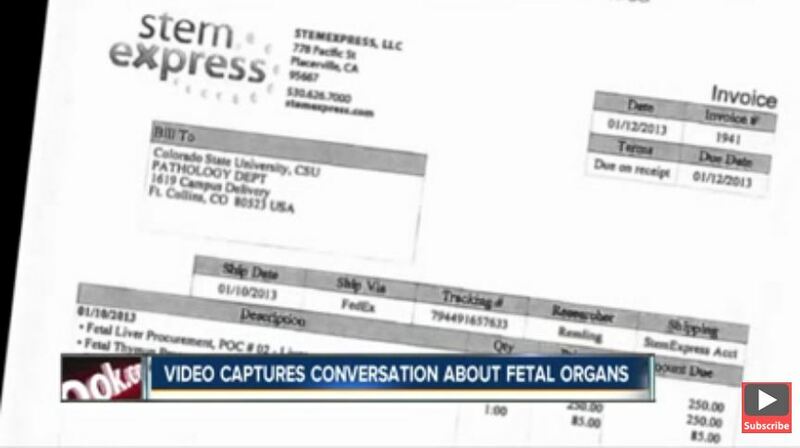 The fetal tissue procurement company tried unsuccessfully to get a restraining order against the pro-life group to censor their first amendment right to release this footage. On August 21, a California judge lifted a temporary restraining order, and today CMP showed what it had. In this video release, the CEO of StemExpress expresses an interest in fetal livers which she claims they get a lot of requests for. “Specifically liver tissue because that’s such an area of demand for us,” Dyer says. 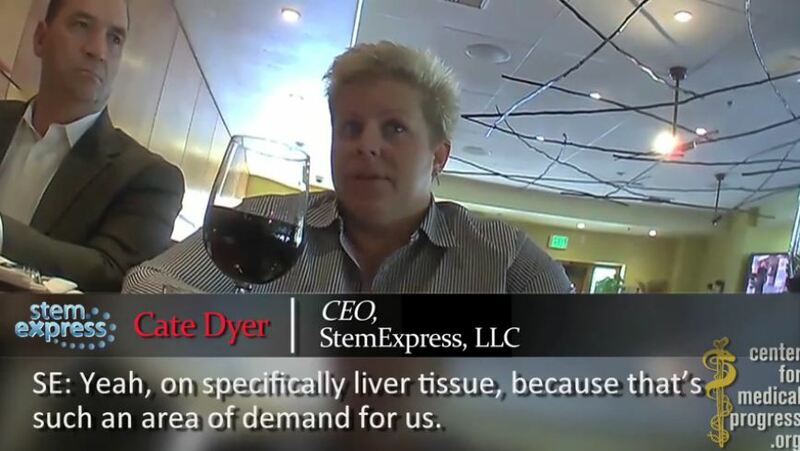 According to CMP, StemExpress, LLC, is a major buyer of fetal tissue from Planned Parenthood which tells the actors that she gets a lot of requests for baby livers. 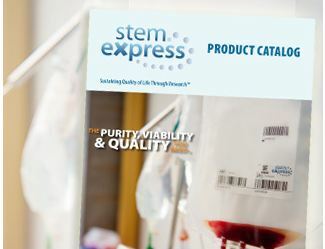 This is reflective in what StemExpress advertises on their website and in a Stem Express catalog that has since been removed. But, a cached version still exists. For that reason, the screen grabs will look a little distorted than if the actual PDF was available. Ironically, when Dyer was asked by CMP what amount of fetal body parts would keep her lab happy she responded, “another 50 livers a week” would not be enough. “I mean it’s you know volume for us,” Dyer points out. “We’re working with almost like triple digit number clinics. So it’s a lot of volume – and we still need more…it’s a lot. So I don’t think you’re going to hit capacity with us anytime in the next ten years,” she added. 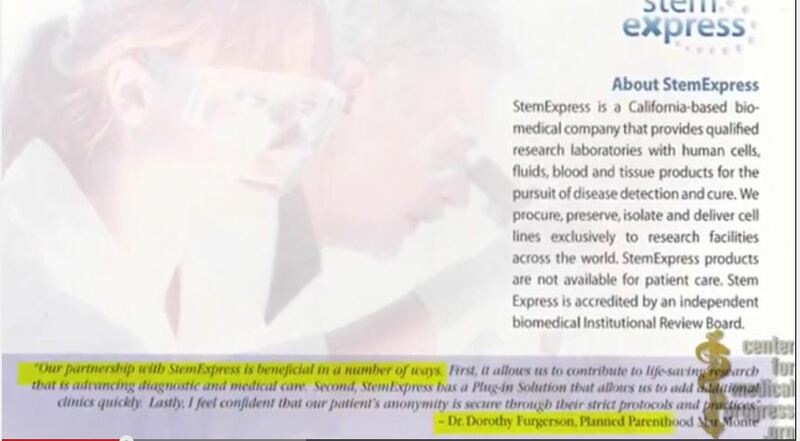 Stem Express said they terminated their relationship with Planned Parenthood after CMP began exposing the depraved baby parts operation weeks ago. 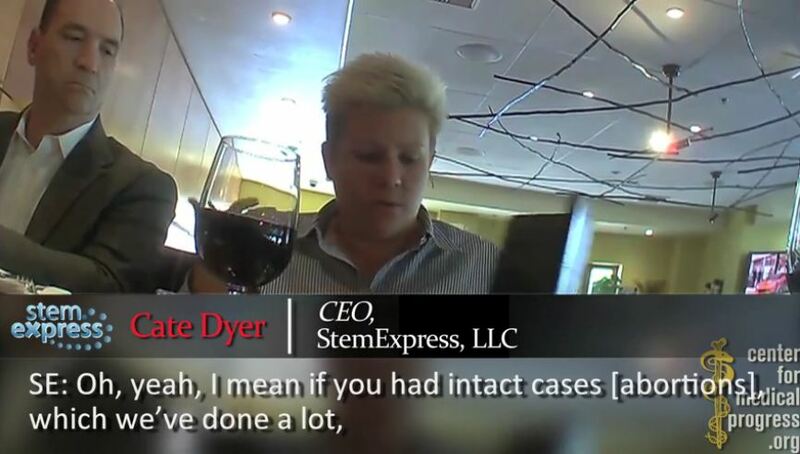 However, in this conversation with StemExpress CEO Cate Dyer, Vice President of Corporate Development and Legal Affairs Kevin Cooksy, and Procurement Manager Megan Barr they admit getting lots of support from Planned Parenthood. As shocking as it should sound, Dyer admits the company gets “a lot” of intact fetuses. In addition to her admission of procuring intact fetuses which implied the baby might have been aborted alive, and allowed to die a violation of federal law, Dyer says that there are bacterial problems inside many clinics. “I’ve seen really rampant – Rampant problems with bacteria in certain clinics. Some where you’re kind of like in question of really should they, really you know. “I’ve seen staff in certain clinics. I mean I’ve seen all sorts of things come out of clinics,” she said. Dyer also agrees that payments to abortion clinics for fetal body parts should be financially beneficial to them. 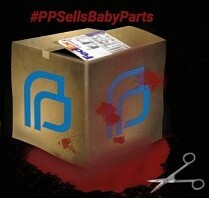 It is a violation of federal law to sell human fetal baby parts for profit. The Stem Express CEO asks CMP who she thinks are buyers for a Biotech firm, if they think there are [abortion] clinics out that have been burned, or feel like they’re doing work for research and that isn’t profitable for them. 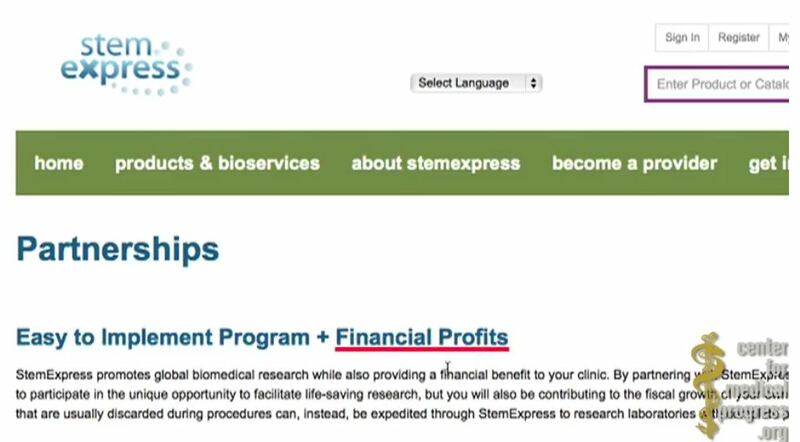 StemExpress publishes a flyer for Planned Parenthood clinics that promises “Financial Profits” and “fiscal rewards” for clinics that supply aborted fetal tissue. It is endorsed by Planned Parenthood Mar Monte Chief Medical Officer Dr. Dorothy Furgerson. 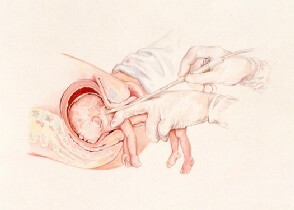 “So many physicians are like, ‘Oh I can totally procure tissue,’ and they can’t,” she tells CMP, seeming to indicate that abortion doctors must do the procedure in a special way to obtain useable fetal parts. Federal law requires that no alteration in the timing or method of abortion be done for the purposes of fetal tissue collection (42 U.S.C. 289g-1). In the video, Dyer notes that many academic labs do not like to get fetal body parts because they look like babies. “It’s almost like they don’t want to know where it comes from,” she tells CMP. “They want you to take it all off, like, ‘make it so that we don’t know what it is,’ ” she said. “But, we know what it is,” she said nervously giggling. The Stem Express head points out that many of the lab techs at Universities get into other areas of research do they don’t have to publish papers admitting they used fetal tissue. “It’s the hardest thing in the world to ship,” she says. The video is the eighth released by The Center for Medical Progress in its investigative journalism study of Planned Parenthood’s sale of aborted baby parts. 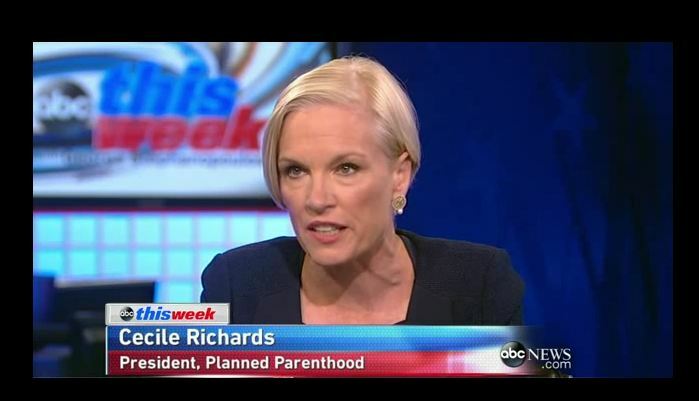 “StemExpress is the ‘weakest link’ that unravels Planned Parenthood’s baby parts chain–they readily admit the profit-motive that Planned Parenthood and their proxies have in supplying aborted baby parts,” notes David Daleiden, Project Lead for CMP. In a “preview” video released immediately following the court’s ruling, the criminal defendants claim StemExpress “admitted” to receiving “intact fetuses” from Planned Parenthood. 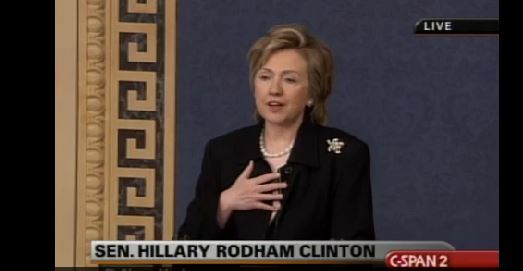 However, a cursory review of the unedited video or transcript reveals that the entire conversation was unequivocally discussing “intact” fetal livers, which are used by StemExpress for the development of isolated cells that are urgently needed by scientists and medical researchers working to cure cancer, diabetes and Alzheimer’s disease. In fact, CMP itself has previously acknowledged that this portion of the conversation refers solely to fetal livers, but nonetheless continues to lodge unsupported false accusations at StemExpress.